Are you getting ready to celebrate the Chinese New Year with your family? Or are you looking or a fun way to teach your kids about other cultures? 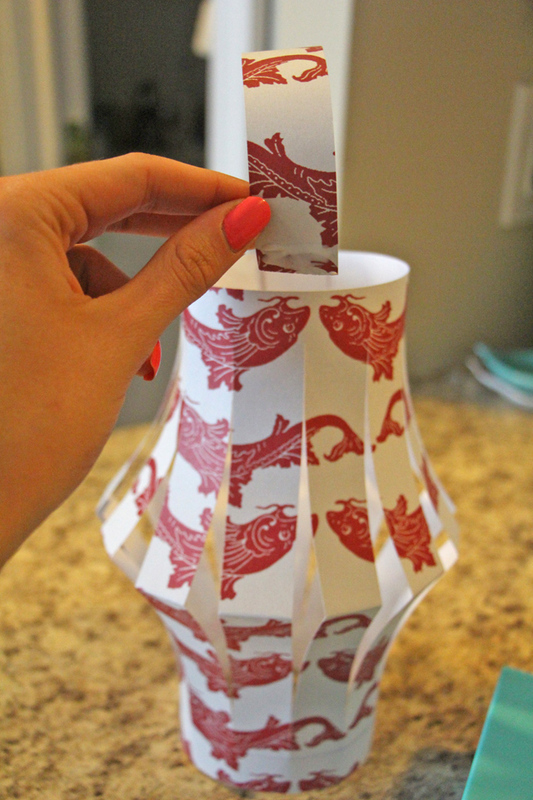 This fun family craft is a great way to teach your kids about Chinese culture and have some great quality family time too! 1. Grab a piece of construction paper and place it flat in landscape. Cut off 1” from the right side. Set aside this strip, this will become the handle of the lantern later. 2. Fold the paper in half, lengthwise. 3. Grab your ruler and pencil and make a line, lengthwise, 1” from the top of the paper, but make sure it’s not on the folded side. This will become a guide for cutting the lantern. 4. Take your scissors and cut a line from the folded edge to the line you just drew. Continue to cut the lines, about 1” apart across the paper. 5. Once you’ve made all the cuts, unfold the paper and erase the pencil line. 6. Form the paper into a tube, so that the cuts are vertical. Staple the top and bottom edges. 7. 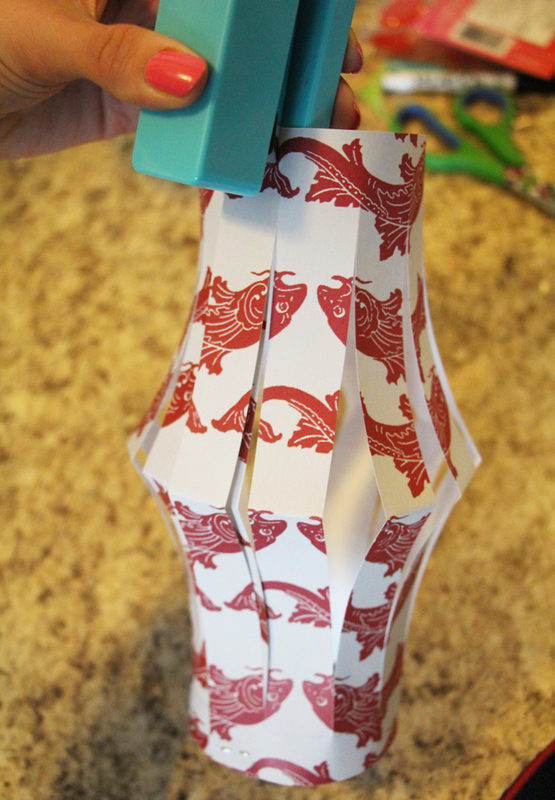 Take the strip you cut out in the second step and glue it to the insides of the lantern to create a handle. 8. 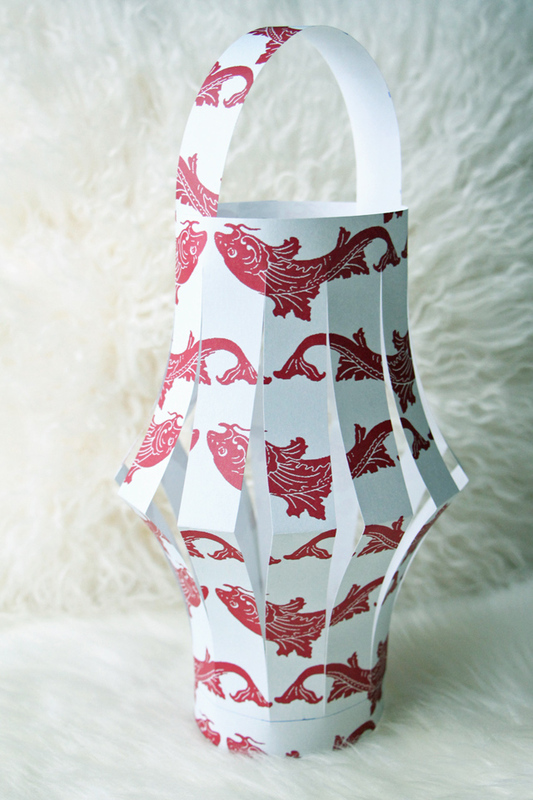 Once the glue dries, you can hang up your lantern. You can also set it upright on a table and put it over a battery-operated fake tea light for a pretty festive glow!